Although the term sequential compression device (abbreviated as SCD) sounds complicated, it's really a simple but useful machine that helps prevent deep vein thrombosis (abbreviated as DVT) for patients who are on bedrest for long periods of time. In other words, it helps prevent blood clots in the legs which can happen a lot easier and quicker than people realize. That's why you should always make sure your patient is using it as much as possible if it is recommended for them to use one. A sequential compression device needs stockings in order to work. The machine pumps air in and out of these stockings. Most of the machines I've worked with pause for a few seconds between pumps and alternate pumping between legs. This process helps keep the blood flowing in the patient's legs therefore preventing blood clots. The easiest way to explain the way they feel to a patient is to tell them it feels like a leg massage. This should also help them to accept using them if they aren't too fond of the idea. How do you put them on? It's actually quite easy especially compared to putting on ted hose. You have to wrap the sequential compression device stockings around the patient's legs. Some of them cover at the ankle all the way to the bottom of the knee while others also cover the thigh. 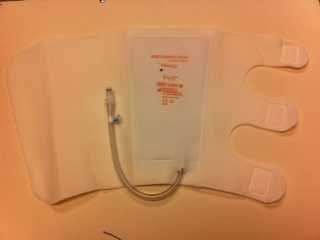 Of course there are different sizes as well to fit your specific patient. One side has velcro while the other doesn't. Put the stocking under the patient's leg with the velcro facing up. The end with the connection where the hose attaches goes at their ankles. Then wrap the stocking around the leg and secure the velcro. After the stockings are on both legs, connect the hoses attached to the machine to the stockings. Then just simply turn the machine on. Most of them just have one button that turns the pump on and off. If the patient has to get out of bed for a moment, it is usually easier to just disconnect the hose from the stockings and leave the stockings on. Some machines require you to push a button at the end of the hose in order to release it while others just need a little tug. Just don't forget to reconnect them once the patient gets back in the bed. 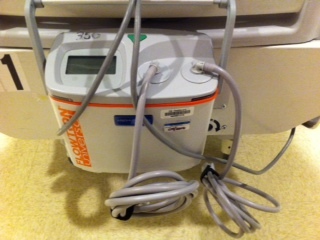 If the patient needs the stocking for just one leg, you may have to fool the scd machine because a lot of them will cut off or sound an alarm if they detect one or both of the stockings are off. The best way to fool it is to fill the other stocking with a towel or blanket. I have learned that there are patients who absolutely love wearing them and patients that despise them. If your patient can't stand to wear them, try to explain that they are very good at preventing blood clots. If they aren't familiar with blood clots, explain to them that they can cause many complications and can even be life threatening. A little discomfort can go a long way. If they still don't want to wear them, just make a deal with them to wear them for a few hours and then take a break for a few hours. Wearing them sometimes is better than not at all. At the hospital where I am currently employed, they are very strict about patients using them. They just recently made it a rule that almost everybody has to use them even if they are at a low risk of forming blood clots. This just goes to show you how important these sequential compression devices really are. What Sequential Compression Device (SCD) Should You Buy? I have gotten a few requests on where to find these devices and prices so here are some links where you can purchase them online for anyone who is interested. The prices vary greatly from $40 plus. Read on to find out more information on the machines previously purchased from visitors to this site. Note that these are products that I do not own personally, but I have done my own research about them. Click on one of the links to be redirected to amazon where you can find out more information about them before making a purchase. First of all, what is your budget? How much you are willing to spend will greatly influence which sequential compression device is right for you. Of course, as is with almost anything, you get what you pay for. The more expensive the product, the higher quality it will be. The price ranges anywhere from as low as 40 dollars all the way up to several hundred dollars. If this is something that will be used for your health and not just as a luxury item, I would consider spending more. If a physician is recommending you to get one, it will be worth the investment regardless of how much you spend. Deep vein thrombosis (DVT) is a life threatening health issue and should be taken extremely seriously. 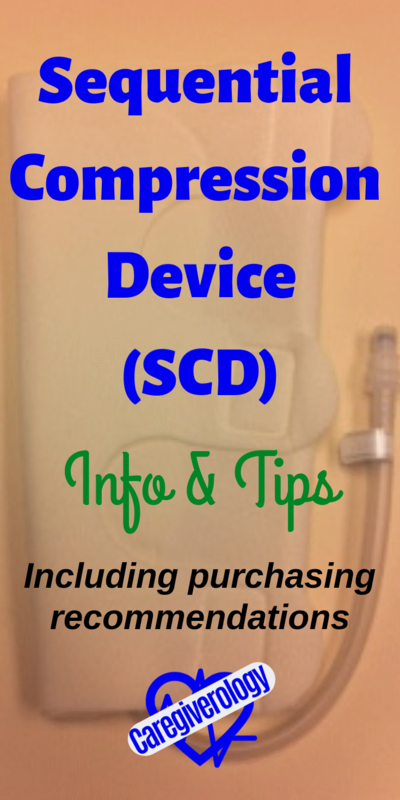 Here is a rundown of some of the SCD machines bought from visitors to this site. I will add to this list as more are purchased through links on this site. If anyone has an opinion on the machines already listed or uses another machine not listed here, please write a comment stating your thoughts at the bottom of the page. At the time of writing this article, this particular model costs over $400. Although that may sound expensive, there are actually ones that cost much more. The rating is very good with hundreds of reviews. 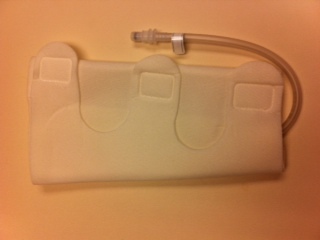 It is a Food and Drug Administration (FDA) cleared medical grade device recommended by professionals. It is even used in physicians, chiropractors, and professional therapists offices. This proves that it is a great option for someone who needs a device for long term use. It comes with 2 leg stockings that cover the thigh, all the way down to the feet. From what I can tell from reading up on it, it seems they fit a wide variety of legs of various heights and thicknesses. It comes with 4 modes that vary in the amount of pressure applied as well as 4 different modes that vary in function. The peristaltic mode massages up and down the leg, while the sequential mode alternates massaging each leg one at a time to simulate walking. It is powered from a standard 110-120 volt US outlet so anyone outside of the US will have to purchase a converter. There is no backup battery so it has to be plugged in to be used. The only feature that I see as a negative is the fact that it doesn't have a continuous cycle option for overnight use like the ones we use at the hospital. It automatically shuts off after 15 minutes. It's claimed to be a safety feature so maybe the pressure is too intense for longer sessions. A bonus for this model is the fact that it has optional 2 or 3 year protection plans. The quality must be good since these extended warranty prices are so low. Considering the rather hefty investment, this is an enticing option that should be considered. At the time of writing this article, this particular model costs less than $60. Even though this one is significantly cheaper compared to the previous one, it is still a functional product. The rating is lower but still good considering the significantly lower price point. This product is also cleared by the Food and Drug Administration (FDA). I could not find any evidence that suggests it is used in physician offices like the previous product, but it still seems to work fine for moderate home use. It comes with 2 leg sleeves that cover the entire calf from the knee to the ankle. 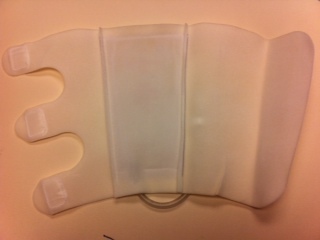 Although is doesn't cover as much as the other product, it still covers the essential part of the leg. The hospital where I work primarily uses sleeves that only cover the calves. There are 2 different settings. The manual mode (M) works in 2 directions and is more intense, while the auto mode (P) works in 4 directions but is more gentle. Both modes also have 3 different intensity settings. It comes with a battery so it can be used anywhere for up to 2 hours when the battery is fully charged. The plug to recharge the battery is a standard 110-120 volt US outlet so anyone outside of the US will need to purchase a converter. It can also be used while the battery is charging. This model, like the other one, also has an automatic shut off feature after 15 minutes of continuous use. Of course it can be cycled on again immediately, but using it while sleeping throughout the night isn't possible. The product comes with an 18 month warranty with the standard purchase, but also has the option for an extended 3 year protection plan for an affordable price.